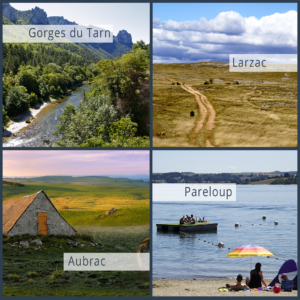 DISCOVER THE AVEYRON … OUR 12 KEY POINTS! 2 – Be curious and go where you are not expecting. Enjoy the Aveyron in its entirety, peaceful and unusual. 3 – Dive back to medieval times and stop in villages full of history: Bastides du Rouergue and Templar Sites. 4 – Cultivate yourself! The Aveyron is also rich with a cultural heritage. The department has inspired many artists and has seen several talents grow, including the best known: Soulages! 5 – Do not hesitate, be a great eater! In Aveyron, gastronomy is queen: starred chefs for gourmets, typical Aveyron meals for the greedy gourmands! 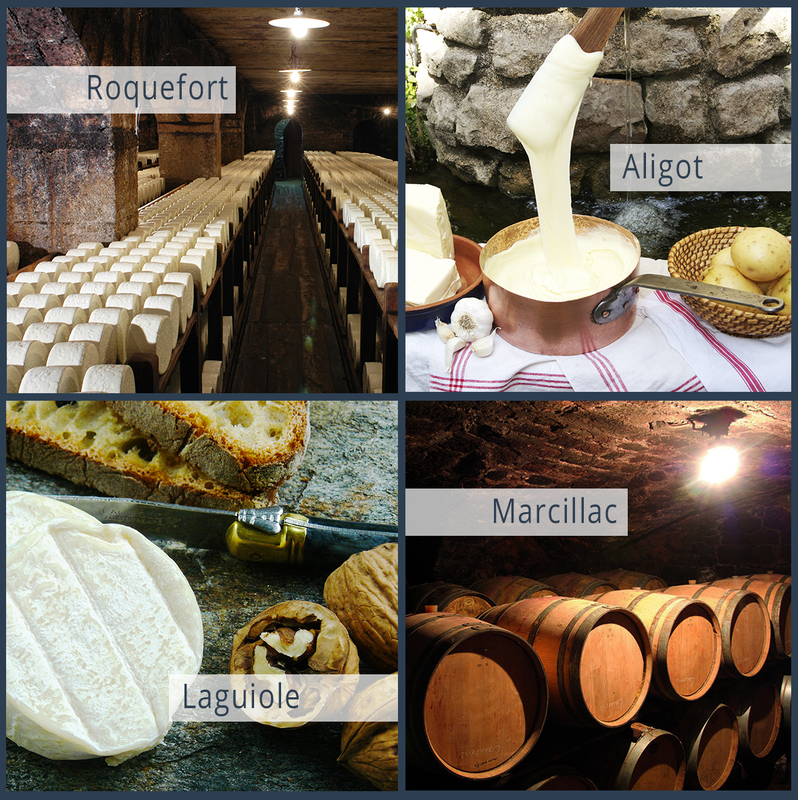 6 – Discover the ‘savoir-faire’ of Aveyron! A country of passionate artisans, let yourself be guided by these men and women who excel in their craft to create the best. 7 – Meet the Aveyronnais! On the market places, at the turn of a path, in their shops … They will always enjoy sharing their traditions with you. 8 – Enjoy the Aveyron! Various events and festivals are organized throughout the year: festivals, fairs and shows, sporting events, historical shows … Discover the traditions of the Aveyron. 9 – Go green! The Aveyron is the perfect place to breathe fresh air. You will discover a rich and wild nature where forests, gorges, pastures, plateaus and valleys are mixed. 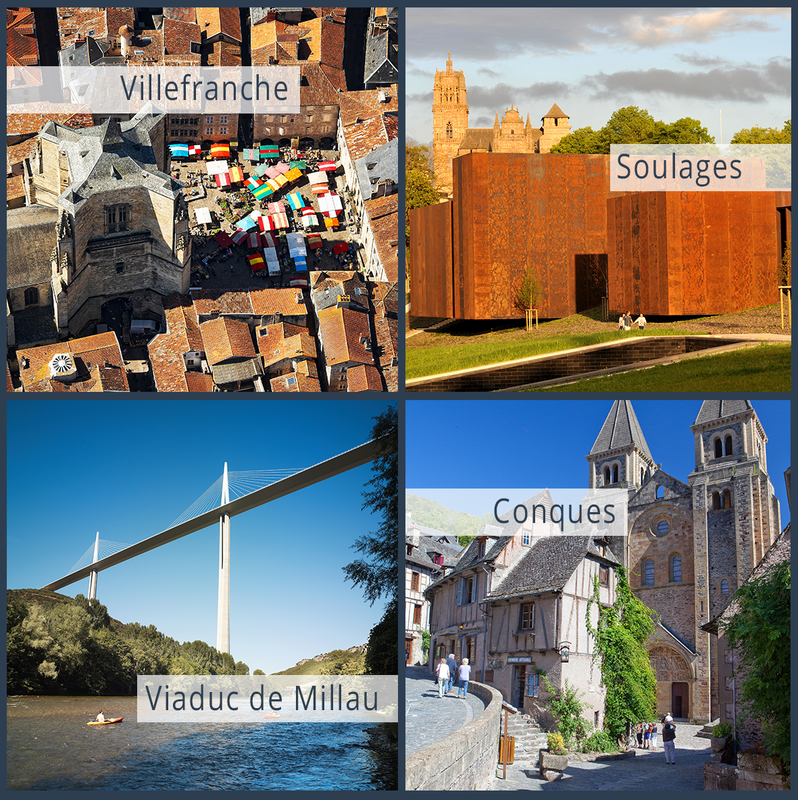 10 – Explore the Aveyron in all its colors! Green certainly like the Lot Valley but also white as the snowy plateau of the Aubrac, blue with the Lévézou lakes, yellow as the sunset on the Viaduct of Millau, black with the outrenoirs of Soulages, ocher just like the plateau of Larzac, orange like the roofs of Villefranche, pink of course with the Rodez cathedral, without forgetting the red of the Camarès ‘rougier’! 11 – Enjoy your stay to exert yourself! Hiking, horseback riding, cycling, fishing, paragliding, hot air ballooning, skiing, sailing … there is plenty to do! There is something for everyone, all seasons confused! 12 – LIVE TRUE! Explore the Aveyron region peacefully and quietly. Take time, do not think, enjoy and unwind! To prepare your stay, visit the website of the Tourist Development Agency of Aveyron. You will find the accommodations of the department and the contacts of the tourist offices of the department.